1. 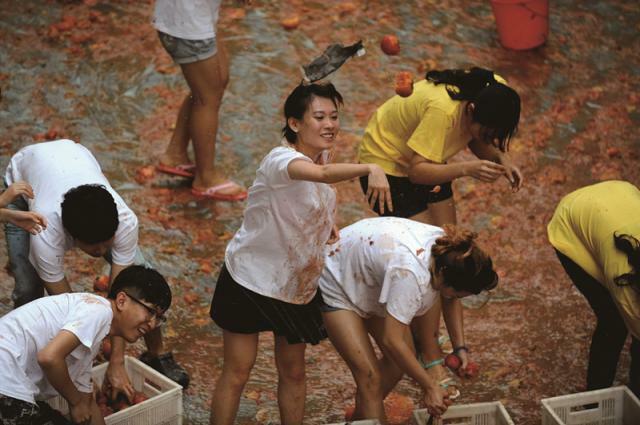 Over 300 young people in Shenyang, Liaoning, participate in the city’s first tomato fight. They hurl tomatoes at each other to have fun and reduce stress. 2. 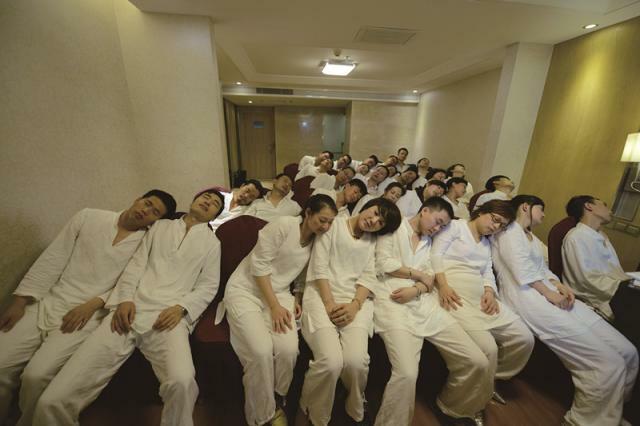 A sleep training course is opened in Changsha, Hunan, where white-pyjama-clad participants learn exercises to improve sleep quality. 3. 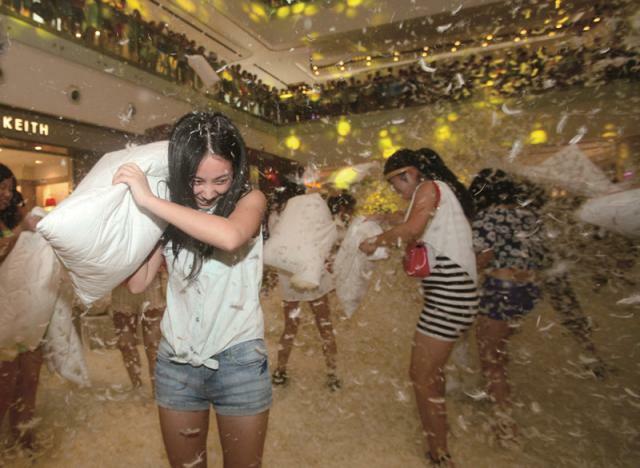 In Ningbo, Zhejiang, a love-themed pillow fight is held at a shopping mall on Chinese Valentine’s Day (the seventh day of the seventh lunar month), where both couples and singles can join in and have fun together. Urban stress is close to being a national epidemic, especially in metropoles such as Beijing and Shanghai. A number of triggers are driving up stress: financial troubles, interpersonal relationships, soaring property prices, a highly competitive job market, social tensions, marriage and child rearing. Back in 2012, a report on workplace stress by international business service provider Regus showed China has become the most stressful country in the world of the 80 countries surveyed. As scholars have noted, historically capitalist countries built up their industrial and economic prosperity for over 500 years, while China has been forced to cram half a millennium of development into 30 years – no doubt the country’s citizens have had to deal with the growing pains of such a spurt. In recent years, major cities have witnessed the emergence of various stress relief activities and outlets that help urban residents find escape for a moment from the pressure cooker society. 1. A stress relief room exclusively for couriers has opened in Beijing. It is equipped with various facilities to help them reduce stress levels. Squeaking chickens and massage chairs are favored most by delivery workers. 2. 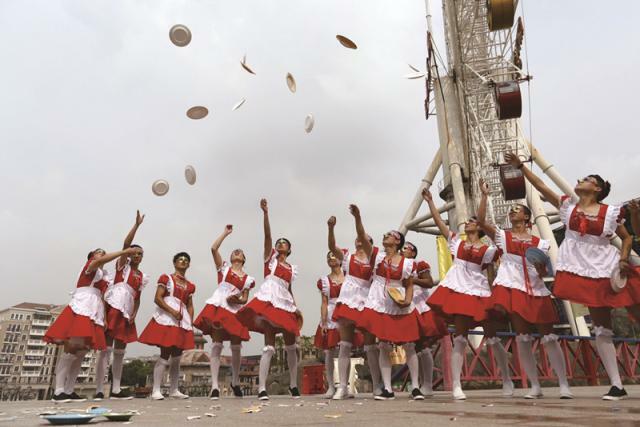 A porcelain-smashing activity is held in Hangzhou, Zhejiang, in which a group of male workers dressed in maidservant outfits throw porcelain plates in the air to reduce stress. 3. 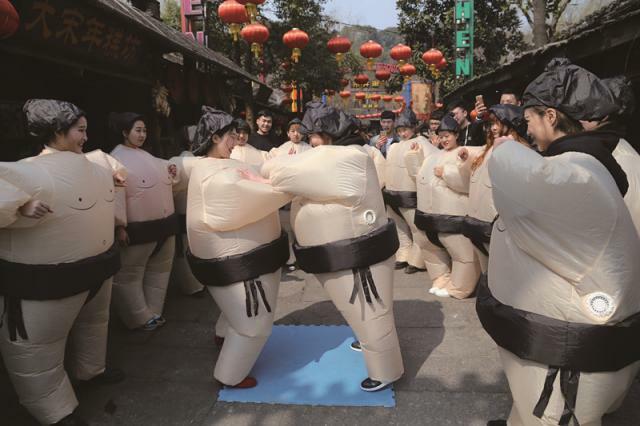 A female sumo wrestling contest is held in Hangzhou, Zhejiang, where women dressed in inflated sumo suits grapple with each other. The activity is aimed at releasing urban women’s stress. 4. 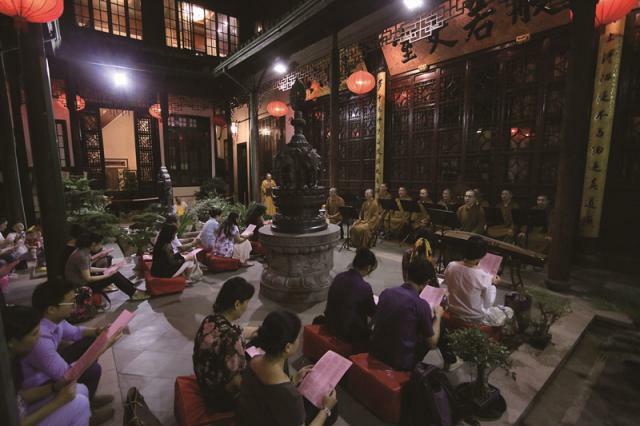 A two-day meditation retreat opens at Jade Buddha Temple in Shanghai, where participants are required to hand over their cellphones, change into linen Zen suits and experience monastic life: chanting, meditating and eating vegetarian food. 5. 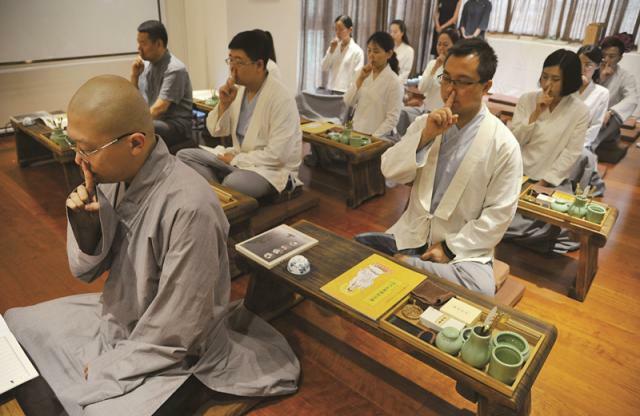 With pressures of modern living steadily on the rise, Zen meditation courses are becoming increasingly popular among people in Xi’an, Shaanxi, during which participants are required to be cut off from the Internet and cellphones in order to find tranquility of mind. 6. 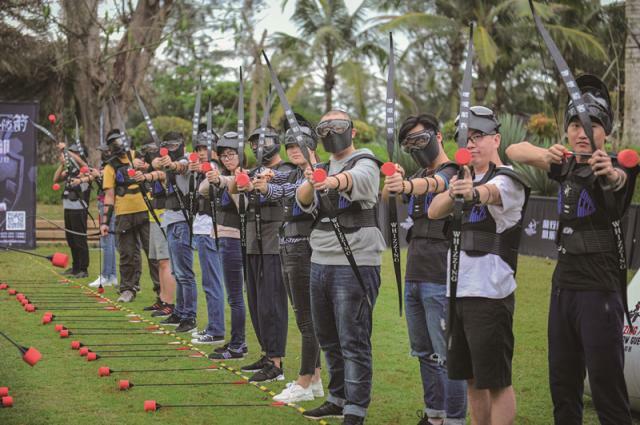 Playing archery tag, a sport similar to dodgeball where players shoot one another using bow and arrows with large foam tips, has become fashionable among young white-collar workers in Haikou, Hainan. 7. Yoga has become a firm favorite of fitness enthusiasts in Shangqiu, Henan.